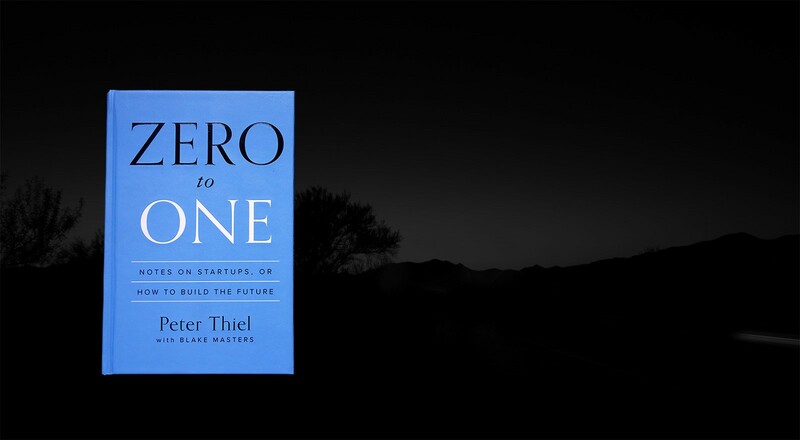 The advice come from “Zero to One” book. This article is a short summary of it. Today all seven of those companies are worth more than $1 billion each. PayPal’s office amenities never got much press, but the team has done extraordinarily well, both together and individually: the culture was strong enough to transcend the original company. Peter’s answer to this question is that most people think the future of the world will be defined by globalization, but the truth is that technology matters more. Spreading old ways to create wealth around the world will result in devastation, not riches (Chinese air pollution, for example). In a world of scarce resources, globalization without new technology is unsustainable. To introduce innovation, we have startups. Startup is the largest group of people you can convince of a plan to build a different future. Peter shows us a good example of the brutal competition: while U.S. airlines serve millions of passengers and create hundreds of billions of dollars of value each year, they make only 37 cents per passenger trip. On the other hand, Google has 100 times higher profit margin than all airline industry. Capitalism means capital. Competition means there would be no capital for you. The pie will be eaten by the other players. So, to get more capital, you need to be a monopolist and escape the competition. You may argue that monopolies are bad, but this is true only in a world where nothing changes. In our world it’s possible to invent new & better things. Creative monopolists give customers more choices by adding entirely new categories of products. Microsoft had a huge monopoly in operating systems. At the same time, Apple’s iOS & Google’s Android emerged and overtook operating system dominance. When Twitter went public in 2013, it was valued at $24B — 12 times higher than Times market cap. Twitter was losing money while Times earned $133M the same year. Why do startups have such big valuations? The answer is: cash flow. It is different between high-growth startups and low-growth businesses. Startups would usually be profitable in the future. Startup’s main metric is growth. One big error of some entrepreneurs is that they focus only on growth while forgetting about sustainability (Zynga, Groupon). Ask yourself: would your business be around 10 years from now? Start small and monopolize. It’s always a red flag when entrepreneurs talk about getting 1% of a $100 billion market. In practice, a large market will either lack a good starting point or it will be open to competition, so it’s hard to ever reach that 1%. And even if you do succeed in gaining a small foothold, you’ll have to be satisfied with keeping the lights on: cutthroat competition means your profits will be zero. Once you create and dominate a niche market, then you should gradually expand into related and slightly broader markets. Don’t disrupt. Directly challenging large competitors will totally reduce your profits. Example: Napster vs U.S. recording industry. On the other hand, Paypal took some cash away from Visa, but overall it gave Visa more business than it took. The board of directors should not exceed five people (3 is ideal). Every employee must be full time player — no part-time folks, consultants and contractors. The less salary CEO gets the better it would be for the startup. It incentivizes CEO to work for long-term value and also sets the standard for everyone else. Regarding vesting (employee equity), Peter tells us that giving everyone equal shares is a big mistake, since everyone has different talents / responsibilities. But it may seem for employees unfair that someone got bigger equity with less (in their opinion) responsibility, so it is a good idea to keep the cap table (who owns how much of company) secret. What’s wrong with valuable stock, smart people, or pressing problems? Nothing — but every company makes these same claims, so they won’t help you stand out. General and undifferentiated pitches don’t say anything about why a recruit should join your company instead of many others. “You will be building the replacement for credit cards” — if someone is interested in it, he will join. Otherwise, don’t even bother. You can also explain why people in your company are unique match for the employee personally. Team should more similar than diverse. From the outside, everyone in your company should be different in the same way. Every individual in team should be responsible for just one thing. Silicon Valley nerds usually underestimate role of sales. They think “if the product is good enough, it will sell itself” which is almost always incorrect. Obvious shady salesmen are bad salesmen. Good sales are sales hidden in plain sight. Amount you spend on average to acquire a new customer (Customer Acquisition Cost, CAC). Complex sales are sales of very expensive products (>$1M). They work best when there are no dedicated salesmen at all. CEO must do the job himself in this case. Personal sales ($10K) are average sales. Box.com (file sharing solution) started with small groups of users who had the most acute file sharing problems, Box’s sales reps built relationships with more and more users in each client company. Then Box sold a small account to the Stanford Sleep Clinic, where researchers needed an easy, secure way to store experimental data logs. Today Stanford Hospital runs on Box. Complex sales won’t have worked here: if it had started off by trying to sell the president of the university on an enterprise-wide solution, Box would have sold nothing. For products around $1,000 for small businesses there might be no good distribution channel. Marketing / advertising ($100) work for relatively low-priced products that have mass appeal but lack any method of viral distribution. Avoid competing with big companies in the endless contest for most memorable ad campaigh. Viral marketing ($1): cheap, works great for viral products like Facebook / Dropbox (invite-based) and Paypal. Paypal focused first on most valuable Ebay “power sellers” — folks who’ve sold most goods on Ebay (focus on small market, monopolize). Then it simply paid for signups and invitations: the CAC was around $20. Led to 7% daily growth for 5–7 month. Everybody sells. Don’t underestimate sales. The Engineering Question: Can you create breakthrough technology instead of incremental improvements? 20% improvement is not enough. The People Question: Do you have the right team? For Thiel’s venture capital fund (Founders Fund) the common red flag was that CEO was wearing a suit. This meant the CEO would be looking like a salesman but won’t be able to actually sale or do tech. Innovative companies achieve best results when they can correctly give six or seven correct answers. Even five may work. Cleantech companies had zero answers most of the time. Apple’s value crucially depended on the singular vision of a particular person. Same with Elon Musk’s Tesla. This hints at the strange way in which the companies that create new technology often resemble feudal monarchies rather than organizations that are supposedly more “modern.” A unique founder can make authoritative decisions, inspire strong personal loyalty, and plan ahead for decades. Paradoxically, impersonal bureaucracies staffed by trained professionals can last longer than any lifetime, but they usually act with short time horizons. Rand was wrong: Rand was a merely half-great writer. Her villains were real, but her heroes were fake. There is no Galt’s Gulch. There is no secession from society. To believe yourself invested with divine self-sufficiency is not the mark of a strong individual, but of a person who has mistaken the crowd’s worship — or jeering — for the truth.